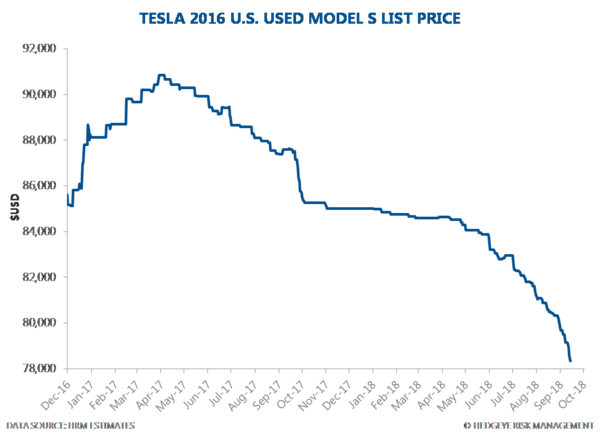 Brand and demand deterioration at Tesla? Institutional investors are invited to join Hedgeye Industrials analyst Jay Van Sciver for a black book call today at 12:30PM ET where he will discuss the latest developments. Email sales@hedgeye.com for access to the call. 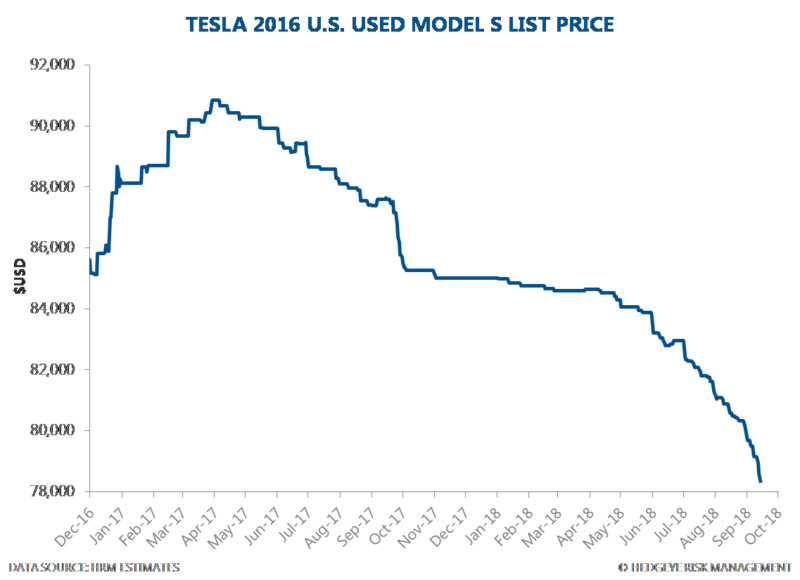 Van Sciver's data are showing a clear deterioration in the Tesla brand, a potentially lethal development for many institutional long investment theses. Delivery, quality, and service issues for Tesla vehicles have likely negatively impacted demand, while management departures, Musk’s problematic behavior, and SEC/DOJ investigations add to the negative attention. While we continue to look to short squeezes, the local highs may trend lower into our 1H19 catalyst period. Email sales@hedgeye.com for access to this call.